Every Cabo beach bride needs the perfect hair and make-up look to wear at her dream wedding. 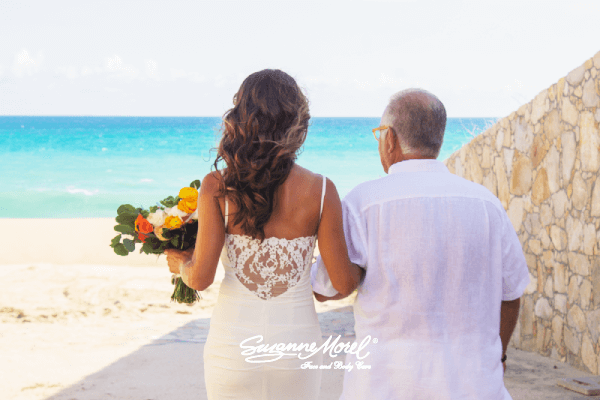 The professional team of stylists at Suzanne Morel Face and Body Care knows exactly how to give you the wedding look you want for your beach wedding in Los Cabos! Beautiful bride Samantha rented a private villa for her rustic chic Baja beach wedding. 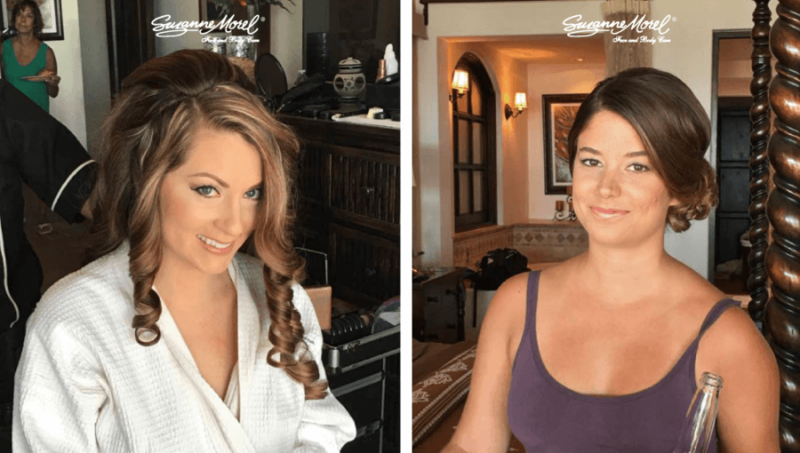 She needed gorgeous hair and make-up to go with the blissful beachside ceremony and oceanfront villa reception planned by Creative Destination Events. Our team did some of their best work to give Samantha a soft, natural down-do to match her sheath dress and its delicate lace back. A sun-kissed glow on her face and a touch of mascara completed the hair and make-up for this perfect Cabo beach bride! We also styled hair and make-up for Samantha’s bridal party, who wore beachy dresses with vivid print patterns, so we made certain their hair and make-up complemented the fun, bright colors! Suzanne Morel Face and Body Care is the most experienced team of bridal stylists in the Los Cabos region, so rest assured you can trust us with the most important hair and make-up look of your life!